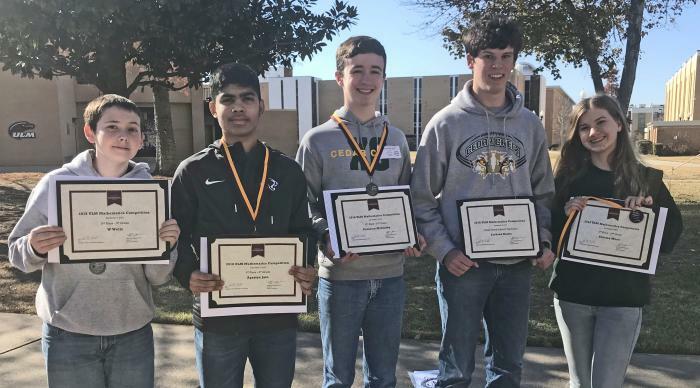 Cedar Creek’s performance at the 2018 High School Mathematics Competition at the University of Louisiana at Monroe equated to success recently. Jackson Harris earned the highest score for Cedar Creek. In the overall 9th grade division, 3rd place went to Agastya Jain and 2nd place went to W Wells. In the overall 10th grade division, Autumn Moon took 3rd place and Cameron McCarthy placed 2nd.